Aim: The objective of the present study was to clone and express A. niger endoinulinase gene in P. pastoris for high-level expression. Further to explore high cell density cultivation, biochemical characterization of recombinant endoinulinase and application of inulo-oligosaccharides (IOS) as prebiotics was also studied. 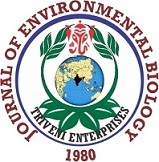 Methodology: Molecular cloning of A. niger endoinulinase gene in P. pastoris, screening of positive clones by genomic DNA PCR, shake flask studies, high cell density fermentation performed with both conventional and temperature shift approach, biochemical characterization of endoinulinase and in-vitro fermentation of IOS was carried out to confirm prebiotic efficacy. Results: The endoinulinase gene of 1482 bp from Aspergillus niger was genetically engineered in the GS115 host and was secreted extracellularly using α signal sequence. As a result of fermentation with the conventional approach, recombinant endoinulinase activity was enhanced to 65.7 U ml-1. Recombinant endoinulinase showed absolute substrate specificity for inulin, hydrolyzing inulin to IOS with the DP range 3-4. Interpretation: Hydrolysis of inulin by recombinant endoinulinase was characterized. In-vitro fermentation of IOS by lactic acid and bifidogenic bacteria was studied as a part of industrial application and functional properties of IOS was similar to commercial prebiotics.